Disney has finalised the acquisition of 20th Century Fox this past week and the Marvel has now grown bigger and better. Avengers: Endgame and MCU star Chris Hemsworth welcomed the newbie Deadpool actor Ryan Reynolds saying that his addition will add more fun and feels a bit warmer. Hemsworth took to Instagram and shared a fan-art that shows Deadoool in Thor’s classic costume with helmet and a smaller version of his famous Mjolnir hammer. We are expecting to see this in the post-credits scene of Avengers: Endgame. As we know, Chris Hemsworth loves to have fun with co-cast members on social media and well, Ryan Reynolds is no less. We are now waiting for Reynolds’ response to the Chris Hemsworth post. Deadpool will be joining MCU and he has all the potential to join it, and this news should be extremely exciting for fans. This also opens doors for R-rated films in the MCU, as it was earlier stated by Disney CEO Bob Iger. Although it seems that the franchise will remain under the 20th Century Fox banner. While talking to The Hollywood Reporter, Bob Iger confirmed that Deadpool franchise will go on and that it would only be the mainstream X-Men series will continue to be rebooted. Iger revealed in 2018 that Fantastic Four and X-Men chaarcaters will be transferred under Marvel Studios banner, giving Kevin Feige access to fan-favourites that are yet to appear in MCU. Also Read: Where Are The Heroes Fighting In Avengers: Endgame? 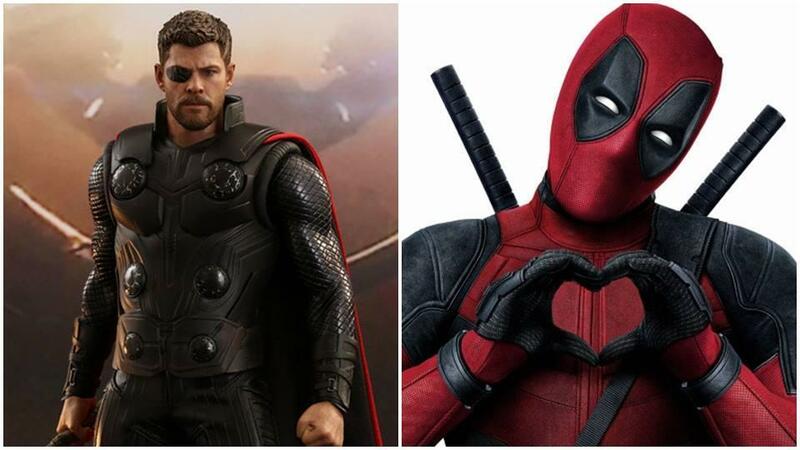 It will be interesting to see if Thor and Deadpool will work together in the coming years of MCU.